The busts of the elderly marine-gods Oceanus and Tethys rise from the sea. 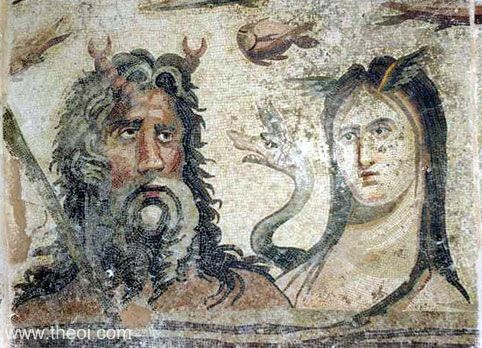 Oceanus is depicted as a grey-haired man with a pair of lobster-claw "horns" and an oar by his side. His wife Tethys has a winged brow and wears a draconic sea-serpent coiled about her shoulders.